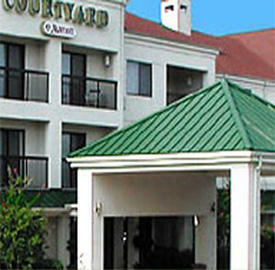 You will feel refreshed and rejuvenated at the Courtyard by Marriott Columbia Northeast South Carolina. This newly renovated hotel now features a full bistro, equipped to serve breakfast and dinner. Winner of Trip Advisor's 2013 Certificate of Excellence & Marriott's 2013 Silver Award. For corporate travel, including Blue Cross/Blue Shield, Pure Fishing, Bose, Providence Hospital, & Computer Sciences Corp, you will find inspiration at the Courtyard Columbia NE. We are conveniently located close to USC, Fort Jackson, McEntire Air National Guard Base, and Shaw Air Force Base. Whether you are traveling to Columbia to train or to watch a loved one graduate, be sure to choose the Courtyard by Marriott Columbia NE. You will flourish with our spacious rooms, sumptuous bedding & high-tech amenities. Visit us in South Carolina's capital, and let us show you what relaxation is all about at the award winning Courtyard by Marriott Columbia Northeast!